The purpose of this course is to explore the practical use of a shotgun for self defense, identifying assets and liabilities of this versatile firearm. The training session begins with a brief discussion of the kinds of shotguns, loaders, ammo carriers and other accessories. We will discuss how to “fit” a shotgun, and things to look for and avoid when selecting a shotgun. A shotgun is best suited for effectively hitting a moving target with a lot of power. Participants will begin by “patterning” their gun at varying distances to analyze the density, shot spread, and location of impact. Then they will sight their shotgun with slugs. Next we will practice proper stance, safe movement with a shotgun, quick snap shooting, and recoil control for follow up shooting. Targets consist of mostly steel plates. Distant targets will be established for shotslug practice. This course is open to all adult shooters, male and female, whether beginner or advanced. 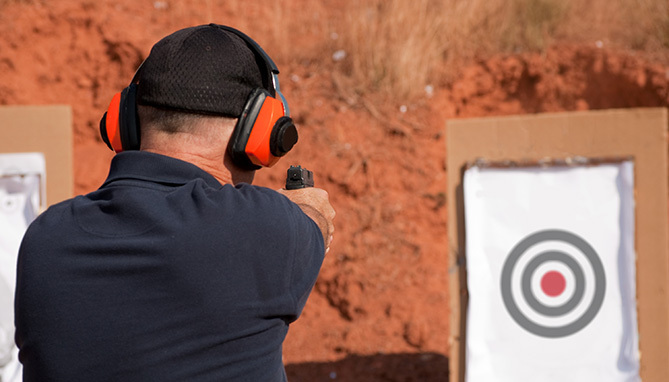 The purpose of this course is to train people how to use THEIR shotgun for self defense. Loaner guns are available, but this course is intended to make people more familiar with the capabilities and limitations of THEIR specific shotgun. The ideal shotgun is a 12 gauge semi-auto or pump action shotguns with a magazine capacity of five or more rounds. 20 gauge shotguns can suffice. Break-action shotguns will be inappropriate. Shorter barrel lengths are ideal but not required. Shoulder stocks are important: shotguns with only pistol grips are difficult to use. To reduce discomfort, wearing a recoil pad is highly recommended. The course of fire requires a minimum of 50 rounds of buckshot, plus twenty shotslugs. 50 additional rounds of cheap birdshot is recommended for the practice drills. 12 gauge ammunition can be made available, or participants may bring their own. For defensive purposes, 00 buckshot is recommended. Ammunition carriers are recommended for speed, although clothing with large pockets will suffice. Each participant must provide their own eye and ear protection. The AllSafe Shotgun course is designed in a workshop format. The course will explore defensive techniques and practice them as drills. Once the fundamentals have been learned the class will shoot a course of fire for score. The course requires movement and shooting of full power ammunition. Participants must be in good health and unrestricted in their physical activity.